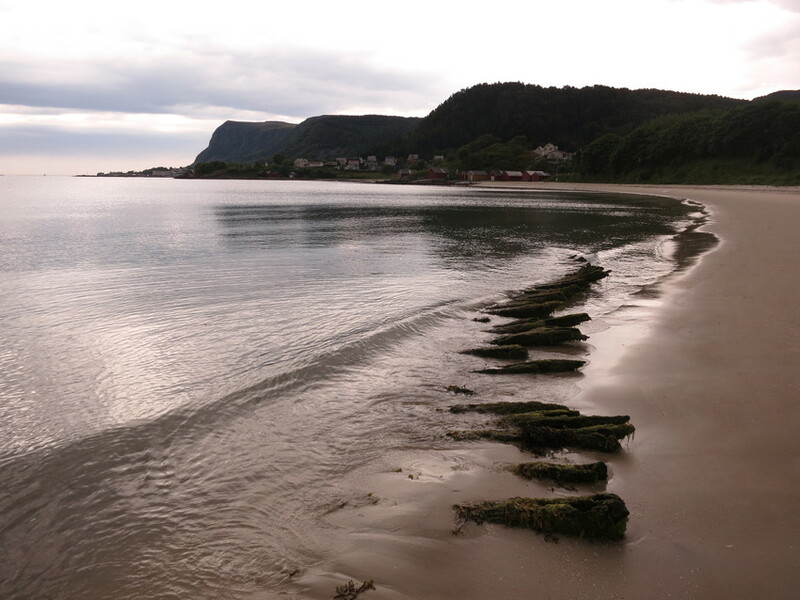 Boat wreck on the beach at Osnessanden, dating back to the first half of the 19th century. 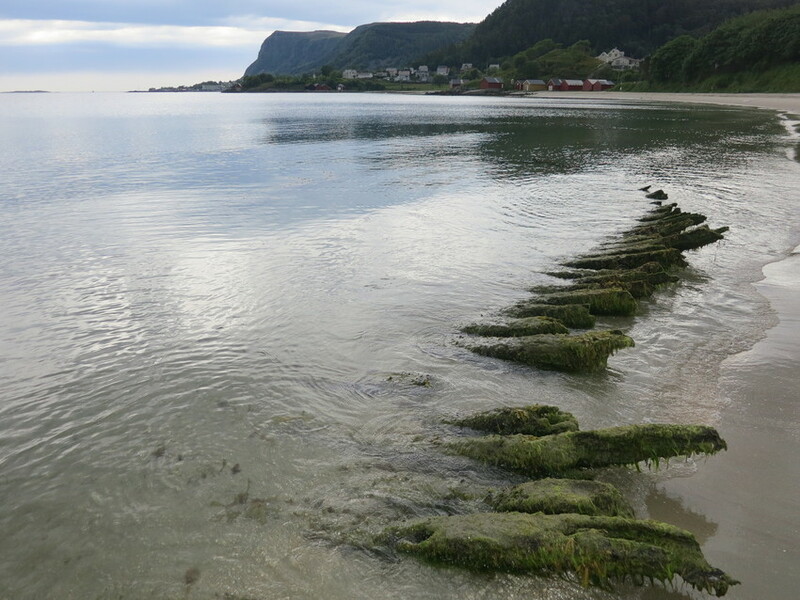 Extra planking / shell and traces of repairs indicate that it was old when it was wrecked. Legend has it that Hild from Shetland came sailing in the main channel in this boat. She was out fishing with her father and brothers when a storm blew up. They managed to tie Hild to the mast before they themselves drowned. 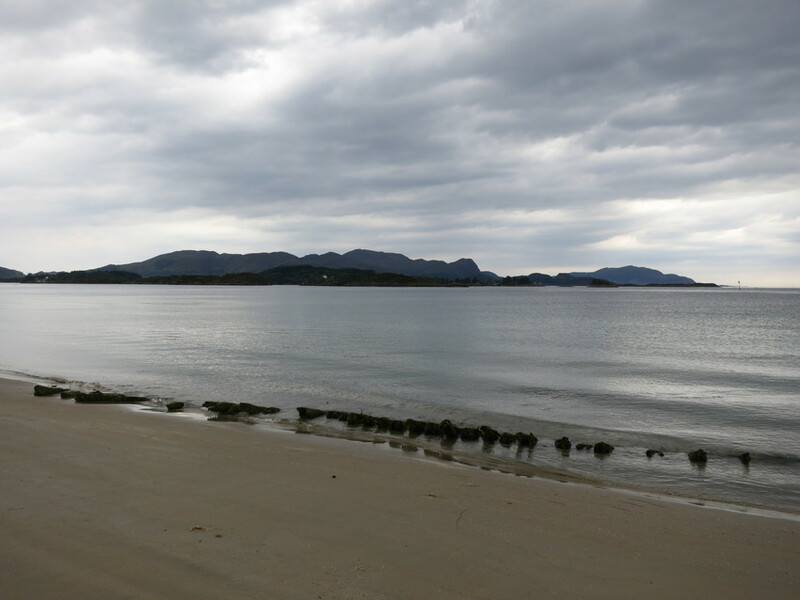 At Osnes a huge rescue operation managed to save Hild. She found a husband from the local community, married and lived there all her life. 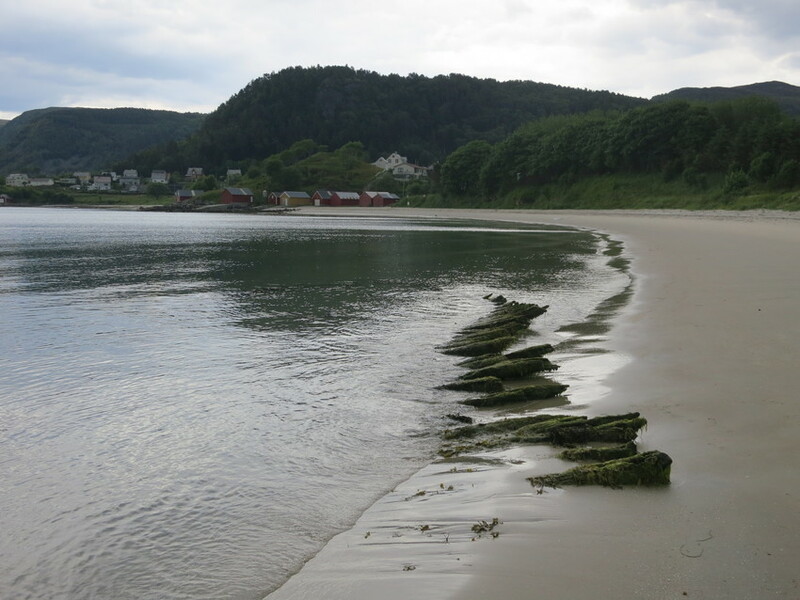 An alternative explanation is that the boat was moored waiting to be repaired at Håkonsholmen or Hatløya when it broke its moorings in a storm.